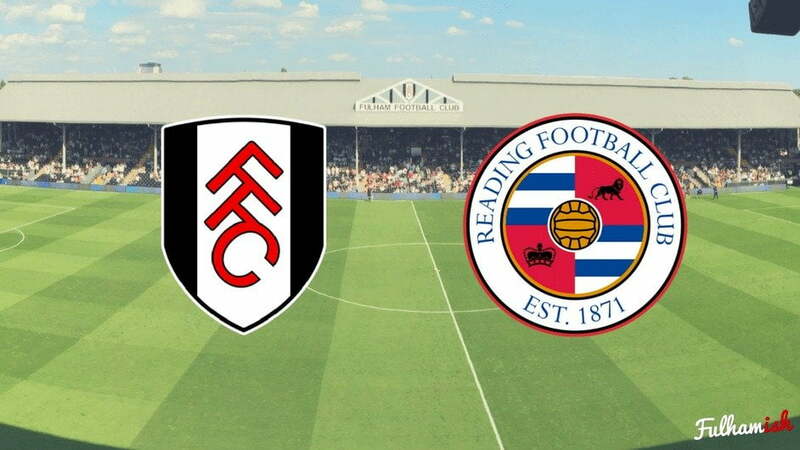 In a game that Fulham are rather cringely referring to as ‘Reademption’, there’s more at stake for the Whites than exorcising the demons of last year’s playoff semi-final. Jack J Collins takes a look at the Royals and what they’ll bring to the table in tomorrow’s fixture. The only spot on the rotation these days is the right wing. Neeskens Kebano showed what he’s capable of on Saturday at Hillsborough, but his ability off the bench to influence games is what makes him such a dangerous weapon. It’s a game written for the passion merchants though, so Lucas Piazon, Public Enemy No. 1 at the Madjeski, gets the nod for us. So it’s this mob again. Thankfully, it does feel like we’ve had a rest since we either visited or were visited by the Royals five times in quick succession from in the latter half of last season and the beginning of this. Since then, things have changed quite dramatically for the boys from Berkshire, and not in a positive manner. Despite keeping the majority of last year’s promotion-chasing squad and making some seemingly positive additions in Dave Edwards, Jon Dadi Bodvarsson and our very own Sone ‘Magic’ Aluko, the truth is that last year’s form, where games were being won in spite of statistics rather than alongside them, has finally caught up with them. The lack of Ali Al-Habsi in goal, a huge presence last season, alongside the fading stars of Paul McShane and Yann Kermogant, to name a few, have hampered Reading and a heinous lack of attacking intent under the former incumbent Jaap Stam has left them looking nervously over their shoulders with just a couple of days to go – and whilst it seems ludicrous that a team in last year’s playoff final could be relegated the following year, the race for survival is very much not done and dusted. In the two games since Paul Clement took over as #Readingfc manager, they have had more red cards (2) than shots on target (1). They have taken just 9 shots, whilst allowing 55 against them. Those figures for allowing shots against should favour Fulham, who will look to thrust early daggers through Royal hearts at the Cottage tomorrow night. Whilst their remains a sympathetic core for the plight of Sone Aluko, who always gave 100% in a white shirt, the aim tomorrow will be to keep up the pressure of Cardiff City, and condemn Aluko and his new teammates to a relegation dogfight. One man who will be definitely up for the fight is Lucas Piazon. He hasn’t forgotten the abuse he got on Twitter from Reading fans when his leg was cruelly broken in the early part of this season, and his celebration at the Madejski to steal the ten-men Whites a point early this season won’t be soon forgotten. Whilst Reading haven’t been good this season, by any stretch of the imagination, there can be little doubt that they will be a harder side to beat under Paul Clement than they were under Stam. Clement is a hardened coach, honed by spells at Bayern Munich, Real Madrid and PSG; and he knows that it will take rock-solid foundations if his side are to put the blinkers on Jokanovic’s outfit under the lights tomorrow. In his arsenal he still has the mercurial John Swift, who has flattered to deceive; Bodvarsson, who’s been a rare ray of sunshine in the Royal cause this year; and Edwards, who despite a difficult start to his Reading career, loves scoring against Fulham. There’s also Aluko, who we know all about, and who, whilst profliglate often, has the ability to turn a game on its head when he turns it on. It looks like a straightforward one on paper, but we all know that no game in the Championship is easy, and the Royals, lacking a real rival of their own, seem to think that Fulham are the closest thing they have to one. Their fans would take major delight in three points that would both see them edge away from the drop zone and would damage our own promotion ambitions greatly. This is not the time to relax.